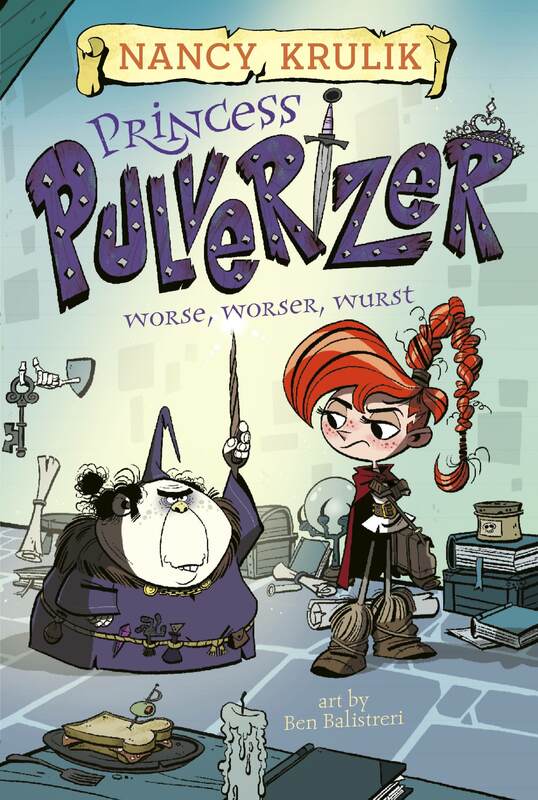 Author Nancy Krulik joins us today to premiere the trailer for her brand new chapter book series, Princess Pulverizer, illustrated by Ben Balistreri! Watch the video below, then keep reading to learn more about the inspiration behind the story. PRINCESS PULVERIZER is quite the name for such a small girl! Can you tell us about her? Nancy: Princess Pulverizer is the kind of kid who refuses to fit into the mold. She doesn’t care what society in general thinks she should do—she knows her calling is to be a knight and she doesn’t doubt for a minute that she will be one. The problem is, she doesn’t exactly have the temperament to be a knight. Sure she’s brave and smart, but she is also kind of spoiled and selfish, which are not exactly knightly qualities. She only sees the glorious part of knighthood—shiny armor, jousting meets, and the accolades that come from saving a damsel in distress. She doesn’t really understand what it means to dedicate your life to protecting and helping others, the way knights must. That’s why her father feels she has to do good deeds for others before he will let her go to Knight School. Anything that’s important in life is worth working hard for, and that’s why the Quest of Kindness is so important. When she finally gets her chance, the princess will truly appreciate the opportunity she is being given. During her “Quest of Kindness”, the princess meets a hilarious cast of characters. How did you come up with Lucas, Dribble, and the ogre? And do you have a favorite? Nancy: Ironically, when I started thinking about the series, it was supposed to be about a dragon who was an outcast because he used his fire to make grilled cheese sandwiches rather than for burning down villages like the other dragons in his lair. But as I created characters for the series I developed a real kinship with the girl who wanted to be a knight. And the more I wrote, the more she came to the forefront. But that’s not to say that I don’t love Dribble and Lucas. They’re very important to the stories. They provide a lot of the humor, and they call Princess Pulverizer on her nonsense when she acts bossy or spoiled. The villains in the series—the evil ogre in book 1 and the wicked Wizard of Wurst in book 2—are really fun to write. Since the series has such a wacky feel to it, I can go absolutely zany when I write them. I hope kids get as much of a kick out of reading the adventures as I get writing them, because I am having the absolute best time writing these books! The second book—WORSE, WORSER, WURST—is also out this month. Was it as fun to write as book one, and what are some challenges of writing a chapter book series? Nancy: At this point in my career, I am pretty much only known for writing series, so I was aware of what I was getting into when I started Princess Pulverizer. I knew how to keep a series bible that allows me to keep track of things like Dribble’s problems with heartburn and the fact that he makes up silly songs, or Lucas the Lily Livered’s issues with his visor and his fear of mice. I knew I was going to have to keep track of the magic powers that come along with each token of gratitude the trio is given after doing a good deed. That wasn’t any different than the way I kept track of the details in any of my series in the past. What’s different about this series is that the whole point of the books is that Princess Pulverizer has to grow as a person with each adventure. So while she starts out as a really boastful, difficult person, she slowly learns to share, to work as part of a team, to sacrifice for the greater good, and to listen and try to understand the needs of others as the series moves on. The Quest of Kindness is a whole different thing for me, because in the past my characters started out as pretty great kids. Katie Kazoo was the kind of pal everyone in the world would want to have for a best friend, and George Brown was a nice guy who, despite that pesky magical super burp, really just wanted to be good and have fun with his friends. 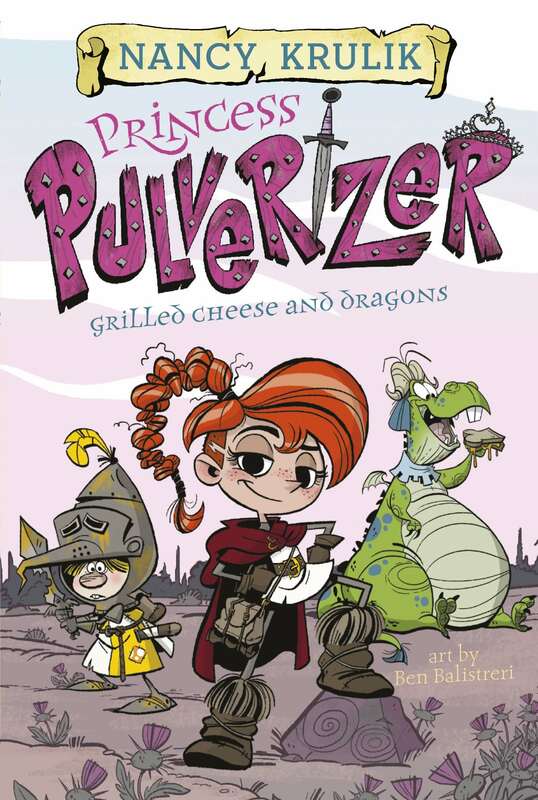 Princess Pulverizer doesn’t necessarily start out as someone you might want to have a sleepover with, but she’s hilariously funny, and just as Dribble and Lucas want to be her friends, I think readers will learn to laugh with her and like her too. I sure hope they do, because there’s a lot of me in Princess Pulverizer, and I’d like to think that once you get to know me I’m kind of likeable. The art in PRINCESS PULVERIZER is fabulous! The characters are so expressive! How did it feel the first time you saw your words brought to life by Ben Balistreri’s illustrations? Nancy: Ben Balistreri is a genius. I know that’s a word that is overused these days, but in this case it is so well deserved. He gets these characters, and understands how they would physically react to the situations I put them in. And he’s funny. Really, really funny. When I saw the early renderings of Dribble, I literally laughed so hard my coffee came out of my nose. The covers of the Princess Pulverizer books are so eye-catching I know they will literally pop off the shelves and into kids’ hands. I am so lucky to have Ben as a partner in these books. What’s a page or excerpt from the books you’re really excited for readers to see? Nancy: I can’t wait for the kids to open the very first book to page one. Because if a character is swinging from the rafters the first time you meet her, you know you’re in for a wild ride. And as far as I’m concerned, the wilder the ride, the better. Nancy: I hope kids laugh a lot while they are reading the Princess Pulverizer books, because let’s face it, writing funny is what I do. But I hope the books also make kids think about their own places in the world. I hope they realize you don’t have to follow society’s rules in life—that you can carve your own path and work toward your own goals. And I hope they take the Quest of Kindness idea to heart. Kids don’t have to defeat evil ogres, or outsmart wicked wizards, or battle giant cheese monsters with mozzarella muscles and Parmesan dandruff (just wait, that’s coming up soon!). There are other ways to help people. A little kindness can go a long way. Thanks for sharing the book trailer for PRINCESS PULVERIZER with us! The first two Princess Pulverizer books are on sale now from Penguin Workshop! 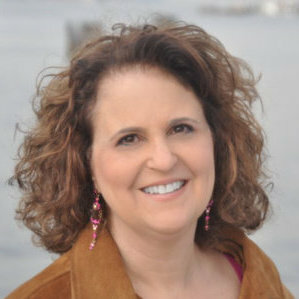 Nancy Krulik is the author of more than two hundred books for children and young adults, including three New York Times Best Sellers. She is best known as the author and creator of the Katie Kazoo, Switcheroo; George Brown, Class Clown; How I Survived Middle School; and Magic Bone book series. Nancy lives in Manhattan with her husband, composer Daniel Burwasser. When she’s not writing, Nancy can be found reading, going to concerts, traveling, or running around Central Park with her crazy beagle mix, Josie. Follow her @NancyKrulik.